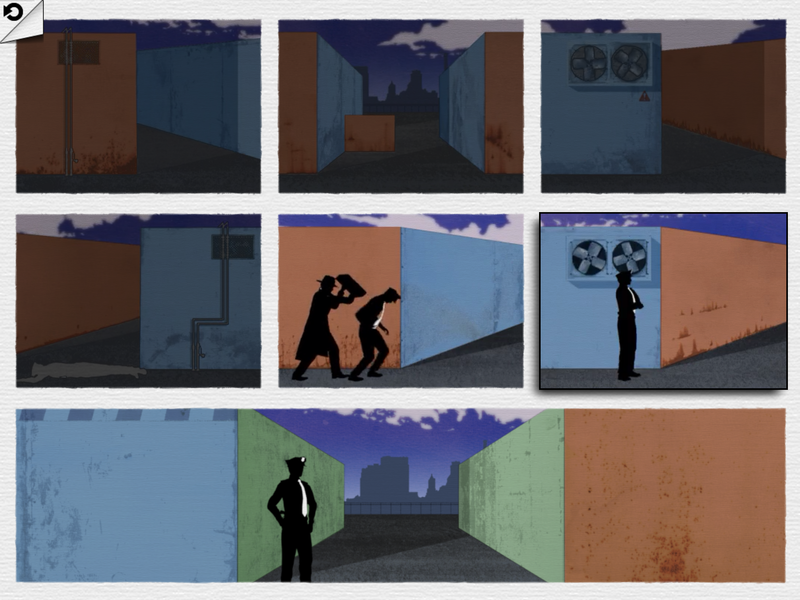 Framed is a noir-flavored puzzle game for iDevices. 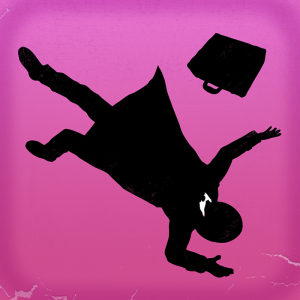 You play as a spy – as multiple spies, even – who are on the run with a mysterious briefcase and have to get past various police officers without getting caught. That is about as much as there is to the story. There are no details and there isn’t really a satisfying ending to it. 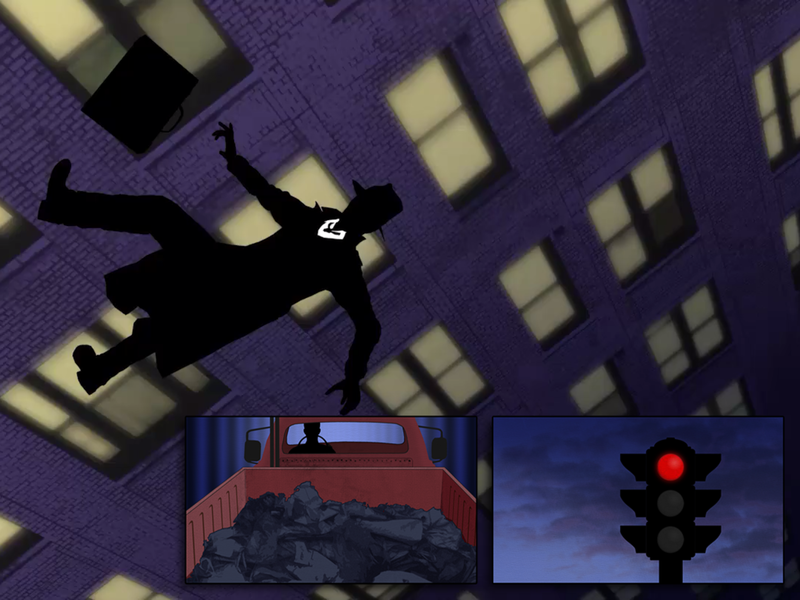 It is clearly just a set-up for the gameplay, though with the jazzy soundtrack and simple but stylish graphics, it does set an interesting tone. Each puzzle consists of a page with multiple pictures that have to be put in the correct order to get the desired outcome at the end of the page. When you think you have them aligned properly, you press ‘play’ to see what will happen. 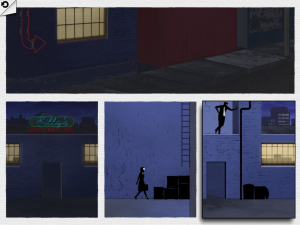 As you go, there are some neat new mechanics, like the ability to rotate select panels or the need to re-use panels while events are already playing out. 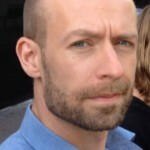 These require timing in addition to an understanding of the game’s special brand of logic. Predicting what will happen on any specific panel is often unfortunately a process of trial-and-error. While some actions are straightforward, you will have to see other panels in motion at least once. With each puzzle, you are trying to suss out what specific thing the designers want you to pay attention to. Your spy won’t behave rationally, but follow a set of rules that you need to uncover and anticipate. 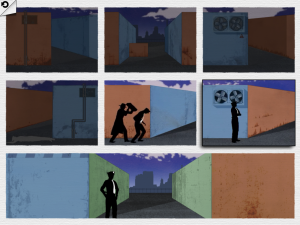 For instance, one puzzle sees you donning a disguise, but in any other order than the ‘correct’ one, the spy will for no sane reason take off part of the disguise. And when you make someone drop a key at some point, you can’t just pick it up, but are made to loop back to it in a way that makes no spatial sense. This odd abstraction upps the difficulty of some of the puzzles and if you spend too much time on one, the short and repetitive music that plays as you think, may start to get on your nerves. The trial-and-error and a feeling of articificiality mar an overall good experience but don’t spoil it. This still is a very interesting concept married to a cool theme. The game isn’t especially long, but this is a good thing. It doesn’t outstay its welcome and leaves you satisfied, if a bit puzzled.